Additional Info: The Estonians are a Finnic people closely related to the Finns, with the Estonian language sharing many similarities to Finnish. 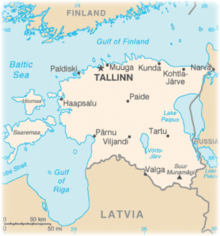 Estonia is a state in Northern Europe. It has land borders to the south with Latvia and to the east with Russia. It is separated from Finland in the north by the Gulf of Finland and from Sweden in the west by the Baltic Sea. Estonia has a long, shallow coastline along the Baltic Sea, with 1,520 islands dotting the shore. The two largest islands are Saaremaa (literally, island land) and Hiiumaa. The two islands are favorite Estonian vacation spots. The country's highest point, Suur Munamagi (Egg Mountain), is in the hilly southeast and reaches 1,045ft above sea level. Estonia is covered by about 6,950 sq miles of forest. Elk, wild boar, bear and lynx are amongst Estonia's common large mammals. 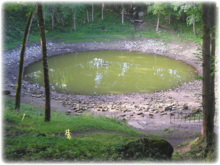 For some, the highlight of a visit to the island of Saaremaa is the 8th biggest meteorite crater in the world. It is said that at least half of Europe could have seen the light from the explosion of this meteorite crashing with the earth. On the western part of the island, look out for the Vilsandi national park - It is a definite must for people who are interested in nature, and more particularly - in birds. The national park inhabits more that 100 kinds of sea birds. 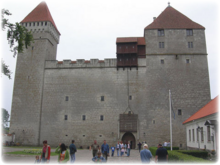 Tallinn, the medieval capital city of Estonia, is the best-known tourist attraction of Estonia. The grand history Tallinn and outstanding architecture has been marked as the UNESCO World Heritage site. The royal castles and manor houses, which are scattered all over the country, are excellent examples of feudal architecture. 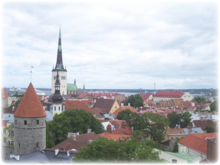 While here, visit the Old Town of Tallinn - an example of Gothic architecture in the Baltic and Nordic countries. Check out the Toompea Castle fortifications, the Dome Church (13th century), the Russian Orthodox Cathedral of Alexander Nevskij (19th century), Town Hall Square (15th century), the Old Guild, St.Olaf's Church. On the island of Saaremaa, check out the Kuresaare's castle for a trip back in time to the medieval ages; also enjoy the beautiful views of the Baltic Sea from the castle walls. Kuressaare, Saaremaa's capital, is a charming and cosy town to just wander around, enjoying the old traditional wooden houses. 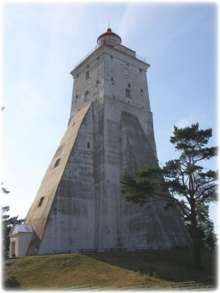 At Saaremaa's southernmost point it is the island's first lighthouse. It was built in the middle of the 17th century. Unfortunately the original was destroyed and replaced by a modern one. The present one was built in 1958-1960. Once covered in windmills, the best place to see them now is at Angla - the five windmills here represent an era when every village had it's own windmill hill. Hiiumaa is the second largest island belonging to Estonia. It is located in the Baltic Sea, north of the island of Saaremaa, belonging to the west Estonian archipelago (Moonsund archipelago). Its largest town is Kardla. Kardla is famous for its bridges, or "drums". The Silver Drum got its name from an old legend: the islanders built the bridge unbelievably long, to which the baron said: "If I had decided to make this bridge of silver and given a shorter deadline, the costs would have been the same." On the island of Hiiumaa, be sure to take a windmill tour: The Kopu peninsula is in the west of Hiiumaa is home to a lighthouse that has been warning ships of a dangerous sandbank since the Middle Ages. Estonia's gentle landscape and lush scenery has made it increasingly popular with cyclists. The islands of Saaremaa and Hiiumaa are particularly popular with bikers. You can reach Saaremaa by taking the ferry that goes from Virtsu to Muhu Island, on the Estonian mainland, which is connected to Saaremaa via a causeway. Saaremaa can also be reached using a ferry from Soru on the island of Hiiumaa. For some lengthier cycling, try doing Estonia and Latvia (its southern neighbor) together - start in Riga and head north through Latvia (pass through Sigulda and Cesis) and into Estonia. Stop in Parnu - known as the summer capital and most popular resort in Estonia. From Parnu head to Saaremaa Island then over to Hiiumaa.